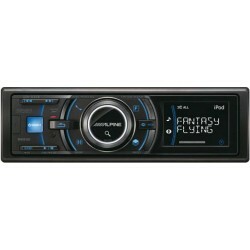 The Alpine iDA-X303 is a dedicated media receiver (this deck has no CD mechanism) that provides seamless control of your iPod and many other popular digital devices. You can control your iPod directly from the receiver and find songs quickly as you find them on your iPod, by Artist, Playlist, Album, Genre, Podcast, Composer and more. Tons of music? Find it fast! With Alpine�s exclusive QuickSearch technology, you�ll be able to find what you want, the quickest and easiest way possible. 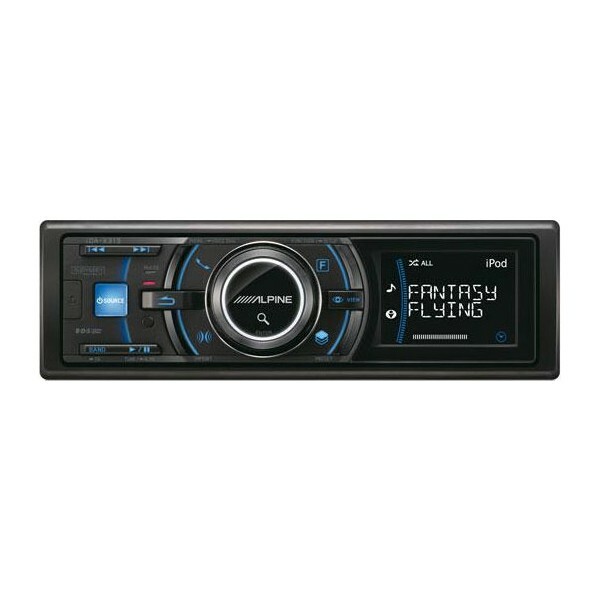 The Alpine iDA-X303 features a crisp 2.2� LCD with 2-line display so you can see what you are listening to. A large Rotary Encoder Knob gives you easy access to all your iPod content as you breeze through an easy to use interface. Late generation (colour screens) iPods and iPhones link directly to the iDA-X303 via a direct high-speed USB connection. The digital USB connection provides fast data transfer, quick command response and superior iPod sound. It provides full digital audio using a 24-bit DAC and has a built-in 50 Watt x 4 amplifier and 3 pre-outs. The specialised cable, KCE-400BT, is also included in this offer. The Alpine KCE-400BT Bluetooth Module from Parrot is designed to work with the new 2009 range of headunits. It will work with the CDE-101R, CDE-101RM and CDE-102Ri. The Module has been designed and built by Alpine in collaboration with Parrot due to their expertise in bluetooth phone kits. Parrot features compatibility for many Bluetooth enabled Mobile phones and provides detailed and up-to-date information on compatible phone models. The KCE-400BT features full phone book access, call history, voice dial and AV streaming with A2DP* profile for high sound quality. New software can be downloaded and installed via USB to support future phone models and software fixes / upgrades. 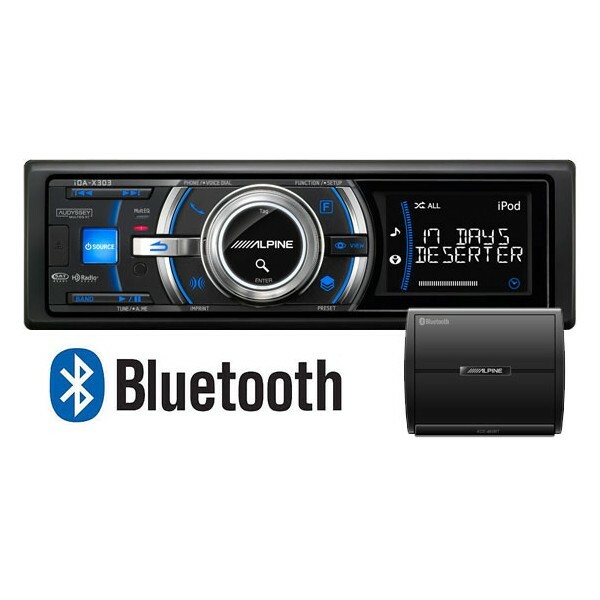 https://www.caraudiocentre.co.uk/product_m-alpine-ida-x303-kce-400bt_p-23979.htm 23979 IDA-X303 iPod media station with Bluetooth handsfree https://www.caraudiocentre.co.uk/productimages/full/idax313.jpg 324.99 GBP Discontinued The Alpine iDA-X303 is a dedicated media receiver (this deck has no CD mechanism) that provides seamless control of your iPod and many other popular digital devices. You can control your iPod directly from the receiver and find songs quickly as you find them on your iPod, by Artist, Playlist, Album, Genre, Podcast, Composer and more. Tons of music? Find it fast! With Alpine�s exclusive QuickSearch technology, you�ll be able to find what you want, the quickest and easiest way possible.